Bowness homes are part of a very popular neighbourhood that boasts a premium location and unbeatable access to some of Calgary’s best outdoor recreational opportunities. The real estate itself is equally impressive, and offers some of the best luxury homes in the city. In addition to stunning single-family homes and properties, a number of condos and townhomes offer a budget-friendly living solution. Bowness borders the Bow River, giving homeowners unique access to river activities such as kayaking and wildlife viewing. The community is also home to Bowness Park, which features walking trails, picnic spots, and more. In the winter, Bowness Park opens for icy adventures, including outdoor ice skating and cross-country skiing. In addition to the popular outdoor destinations, the Bowness community hosts numerous shops, services, and restaurants. Find out more about life in this highly desirable community below the Bowness homes for sale! In addition to impeccable access to the Bow River and the Bow River pathway, numerous parks can be found scattered throughout the community. Many residents enjoy spending their spare time in 77th Street Park, Beaupre Park, and other outdoor destinations. On rainy days, Bowness’ homeowners can retreat to the Bowness Sportsplex, the community’s indoor ice arena. Shopping can be found near Bowness, along the eastern portions of Bowness Road NW, and near 77th Street Park. These local shops, services, and restaurants make life more enjoyable and allow residents to complete errands quickly or indulge in leisurely pastimes. While Bowness is known for having some of the most expensive and high-quality homes in Calgary, some condos and townhomes make the community more accessible for first time and budget-savvy buyers. 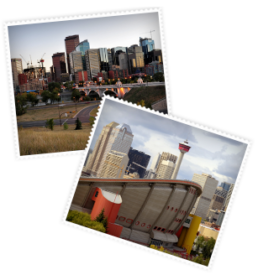 Explore Bowness homes with the Calgary Real Estate Advantage team and we’ll connect you with your dream house! Get started today by calling 403-968-1496 or sending us an online message!